This one is a close up of Dany's and Angela's quilt 2016. This one was for my grand daughter Aly she is into everything Paris ! 2016. Made this one for my grand daughter Bella 2016 Christmas. 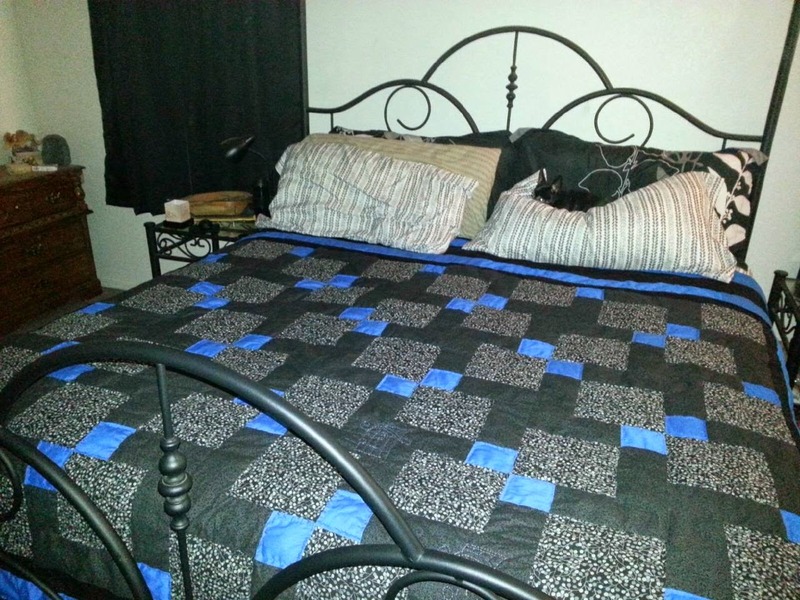 I just wanted to share some of the quilts I accomplished this year. Flower patch scrappy quilt cleaned up some of my scraps with this quilt. 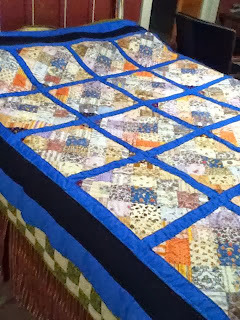 My dragonfly quilt was at the Mountain Top Quilt Show 2014. My daughter in love, likes owls so I couldn't resist. I made this one for my grand daughter. I made this one for the bright colors which I have an attraction to. This is my first applique quilt. I have a grandson who is a Raiders fan. 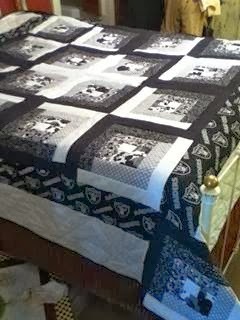 This scrappy quilt was made with vintage style material for my grandson in Oregon. 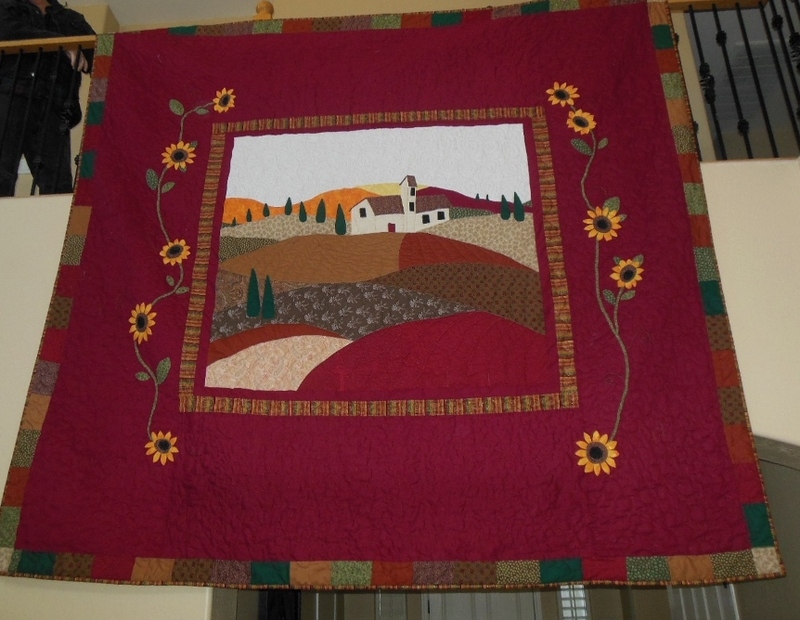 I'm thinking that I will catalog all the quilts I make for my own record here. My grand daughters Hello Kitty quilts. Made this baby blanket for my grand daughter. This one I made for my son Dany and his wife Angela. This is the latest one I made for my mom, and new dad. I purchased the yarn at Hobby Lobby. 14 1 inch size buttons I found these at Walmart. I made these adorable knitted leggings that button up the sides, they have lace sewn on the top for added cuteness. The yarn I chose has a soft feel, my girls don't like the itchy yarns. The pattern is found on Raverly.com written by Lizabeth Towers named Legendary Leggings. Since my grand daughter was only a petite size 6. I added the buttons, and the lace with hand quilting thread. My good friend Bonnie shared how to make homemade biscuits. They far out weigh the ones that come in the tube package. Make sure to preheat your oven to 450 degrees. Bonnie sprayed the back of her pans with vegetable spray. Combine all the dry ingredients in a large bowl, mix well with whisk. Cut shortening, and butter with pastry cutter until resembles small pea size balls. Add buttermilk, and mix until just combine, if it appears a little on the dry side add a little more buttermilk. over mixing will result in hard biscuits. Turn dough onto a floured board or a floured plastic bag. Fold the dough 5 times no more. With your hands gently press dough down to 1 inch thickness. Do not use rolling pin. Dip biscuit cutters in flour to cut shapes of dough, or you can just cut them square with butter knife dipped in flour. Bonnie uses her scraps to make peach cobbler. Place peach pie filling underneath the biscuit scraps, add cinnamon sugar, and pads of butter on top of biscuits. Bake the biscuits for 10 minutes at 450 degrees. Bake the cobbler at 450 degrees for 40 minutes ..